Dave Ramsey’s debt snowball method can help you pay off your credit cards and student loans. The debt snowball method is explained step-by-step so you can learn exactly how to setup and use a debt snowball to get out of debt! The debt snowball method was made well known by Dave Ramsey. It is a way to pay off debt that starts gradually and builds momentum as you begin paying off your debts. In the debt snowball method, you pay off your debts from smallest to largest. As each debt is paid off, you take the amount you were paying to the first debt and start applying it to the second debt. When you pay off the second debt, the amount you were paying to debts one and two now gets applied to debt three. As you begin to payoff your debts, your snowball continues to grow. 1. Determine the balance owing and minimum payments of each debt you’d like to pay off. 2. Place your debts in order from smallest to largest balance. 3. Decide how much you can allocate to debt payments each month. 4. Pay only the minimum payments for all debts except the smallest balance debt. 5. The difference between your allocated amount and the minimum payments in step 4 gets allocated to the smallest debt. 6. Once the smallest debt is paid off, repeat the process. Your total amount paid to debt each month should not change. Suzy Smith would like to pay off her two credit cards, student loan, and hospital bill. Step 3: Decide how much you can allocate to debt payments each month. Step 4. Pay only the minimum payments for all debts except the smallest balance debt. Suzy pays the minimum balance due on debts 2-4. Step 5. The difference between your allocated amount and the minimum payments in step 4 gets allocated to the smallest debt. Suzy can pay $400 a month to her debts, and the minimums for debts 2-4 total $180. She stills has $220 to pay towards debt 1 (Anytown Hospital). Step 6. Once the smallest debt is paid off, repeat the process. Your total amount paid to debt each month should not change. In the first month, Suzy pays the minimum balance due on debts 2-4. Suzy can pay $400 a month to her debts, and the minimums for debts 2-4 total $180. She stills has $220 to pay towards debt 1 (Anytown Hospital). In the second month Suzy only has $80 remaining on her Anytown Hospital bill. So of the $220, $80 goes towards debt 1, and the remaining $140 gets paid to debt 2 (ABC Credit Card). Notice that she still paid $400 for the month, even though the allocation between the debts changed from the first month. By focusing your debt payoff to a single debt at a time, you’ll see progress faster than if you had split the extra money among all of your debts. Quicker progress on getting out of debt will keep you motivated and eager to be successful in paying off debt! The debt snowball method relies on motivation by paying off smallest debts first. The problem is that this doesn’t take interest rates into account. When you focus solely on debt size, you could end up paying more in interest over time. Who is the debt snowball method best for? A debt snowball will work best when you have several different size debts. If your debts are similar in size, you may lose motivation with progress being slower. You will be motivated by quick wins. You have extra money in the budget to apply to debt payments. 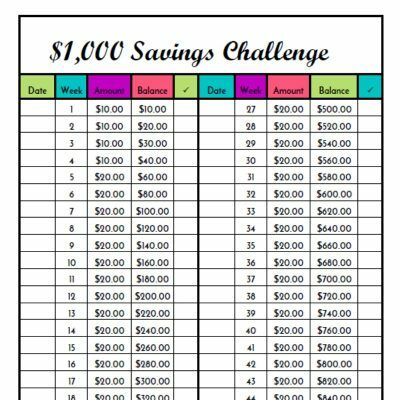 Want printables to track your progress on your debt payoff? 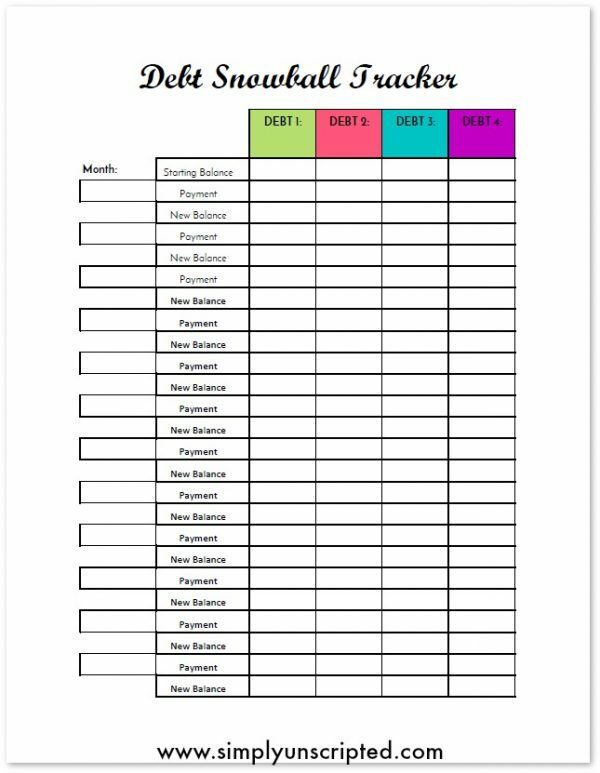 Check out my debt snowball tracking printable.